Read the text of the Emancipation Proclamation. 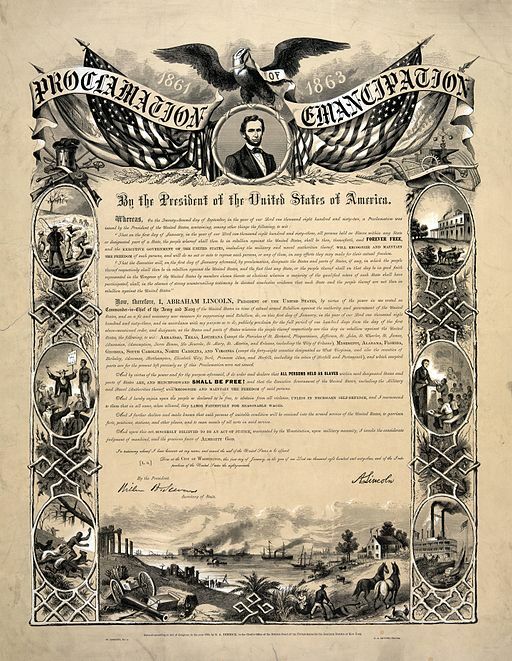 Authored along with William Seward, Lincoln's Emancipation Proclamation was the Executive Order that stamped the Civil War with a moral imperative. It also achieved a key political goal: turning foreign popular opinion in favor of the Union by adding the ending of slavery as an additional goal of the war. Featured in Civil War Stories. United States of America the eighty-seventh. Featured in Civil War Stories. You might enjoy American History and African American Literature.